When planning exterior work on a fixer-upper, it’s important to be aware of possible hazards. Older homes may contain asbestos, especially in the roof or siding, so you need to take measures to mitigate the effects of this hazard during and after your project. Asbestos is a lightweight, fibrous mineral that can withstand heat, fire and electricity. Because of its unique properties, it was considered a universal solution for construction in both commercial and residential projects through much of the 1900s. Homes built from the 1930s through the mid-1970s are likely to contain asbestos products. However, asbestos contains sharp, spiny structures that can damage the lungs when inhaled. That’s why asbestos is hazardous when it becomes airborne. The U.S. Environmental Protection Agency has already implemented laws to limit its use and avoid exposure. How Should I Deal With Asbestos? While asbestos in roof shingles is unlikely to become airborne, this is not true for siding, especially when sawing, sanding or breaking is involved. For this reason, it’s important to work with an EPA-certified contractor to ensure the safe removal of asbestos on your siding or residential roofing system. They will assess your home’s situation and take the necessary precautions to protect your property. This may involve wearing a respirator mask and protective clothing. Asbestos can’t be seen by the naked eye, which is why it’s essential to have your fixer-upper tested. Attempting to remove or disturb asbestos on your own may unintentionally expose you and others to the toxin. 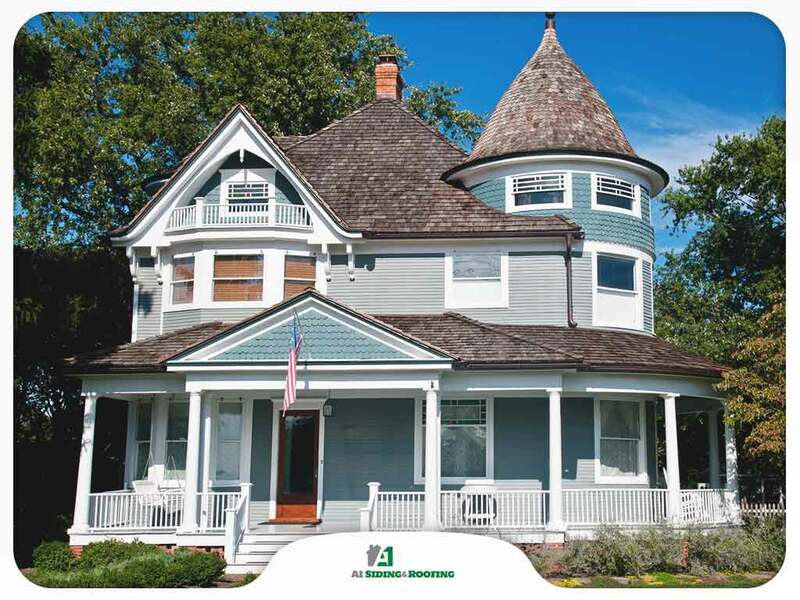 A1 Siding & Roofing is your trusted partner for your residential and commercial roofing needs. Get in touch with us at (603) 684-2444 to learn more about our products and services. We serve Manchester and surrounding areas in NH.